Product code: T866 Categories: Sold Items, Sold Jewellery. Here is a very elegant Edwardian era antique aquamarine and seed pearl necklace that was made in 9 carat rose gold in the early 1900’s and will always get the attention and admiration that it deserves every time that it is worn. So graceful and stylish, the necklace is set with four lovely aquamarines that all have that wonderful soft blue colour that looks even more beautiful when it is worn against the skin. The aquamarines total 4.25 carats and are highlighted with the elegant seed pearls set into the pendant. The combination of soft blues from the aquamarines, white from the pearls and rose from the gold all match perfectly together. The main section of the pendant measures 4.7cm across by 6.5cm and laid out from end to end the chain measures a comfortable 44cm in length. 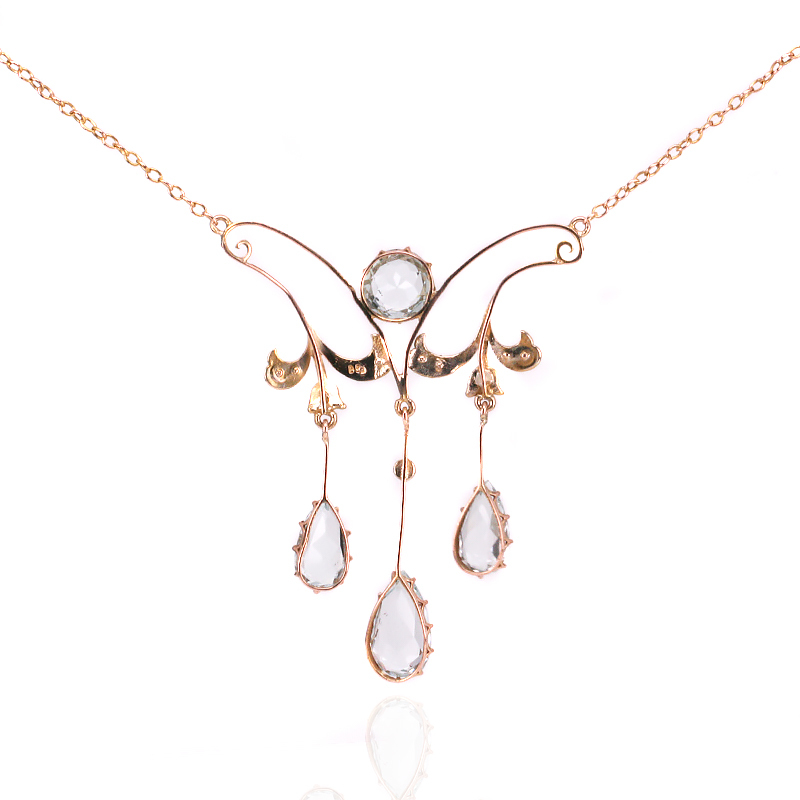 During a summers day or a formal occasion, this antique pendant will always be loved and admired. Tag: Antique aquamarine and seed pearl necklace.